DETROIT -- General Motors lowered its earnings forecast for the year following a second-quarter profit decline due indirectly to the Trump administration's tariffs on steel and aluminum. Although GM sources more than 90 per cent of its steel and most of its aluminum domestically, the 25 per cent tariff on steel and 10 per cent tariff on aluminum are causing domestic suppliers to raise prices of the materials to align with market demand. The increased pricing represent a majority of an expected $1 billion (all figures USD) impact in added costs to GM’s business operations this year, up from an earlier estimate of about $500 million. The automaker on Wednesday said earnings before interest and taxes dropped 13 per cent to $3.2 billion compared with a year earlier. Net income from continuing operations, which exclude the sale of its European operations last year, fell 2.8 per cent to $2.39 billion. Revenue for the second quarter fell less than 1 per cent to $36.8 billion. Stevens said the automaker’s North American operations absorbed most of the cost increases for steel and aluminum. “We’ve got some work to do the rest of the year there,” he reporters prior to the call Wednesday morning. GM lowered its guidance on free cash flow for the year from the mid-$5 billion range to $4 billion and its earnings per share -- a key estimate for Wall Street -- to about $6 from the $6.30-$6.60 range. GM also lowered its North American profit margin expectations to 9-10 per cent from 10 per cent. Other factors impacting the automaker’s earnings for the second quarter included foreign currency devaluation -- particularly in South America -- and lower production of its full-size pickups due to plant changeover for GM’s next-gen Chevrolet Silverado and GMC Sierra. The 2019 full-size pickups, Stevens said, are being shipped to dealers with first deliveries to customers expected in August -- on track with the company’s previously announced launch plans. GM, Stevens said, expects to build upward of 130,000 units of the next-gen pickups during the second half of the year. Stevens previously said GM expects to lose volume of about 60,000-70,000 full-size and heavy-duty pickups. GM shares fell 7.2 per cent to $36.65 in midday trading in New York. GM Cruise: The company's autonomous vehicle operations cost the automaker $154 million in the second quarter. 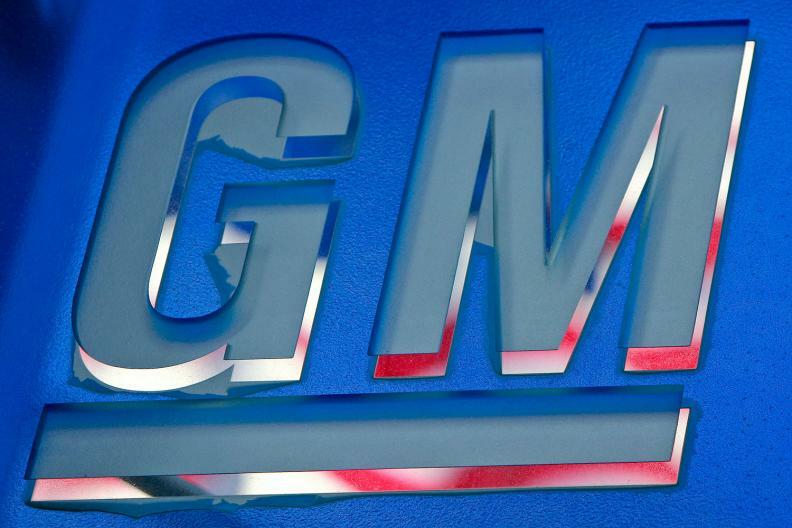 It is the first time GM has reported the operations as an individual business unit. For the year, the company plans to invest about $1 billion into the operations, including $320 million in the first half of the year. Regions: North American earnings, which include Canada, declined from $3.5 billion to $2.7 billion in the second quarter. Earnings for the company's international operations also declined, to $143 million from $317 million a year earlier. Finance: GM Financial reported earnings of $536 million, up from $357 million a year earlier. Forty-five percent of GM’s U.S. sales in the quarter were financed through GM Financial. Operating profit margin: Profit margin for the quarter was 8.7 percent, including a 9.4 percent margin for North America. Expectations: GM beat Wall Street’s expectations for a 13th consecutive quarter. The company reported earnings per share of $1.81, above analysts' forecasts of $1.78 -- a key metric for how Wall Street judges the company.